Ahead of their new album ‘Life Metal’, the doom-metal icons have announced five UK stops, including a show at Birmingham’s The Crossing. After spending last summer in the studio with Steve Albini, working on their first album in four years, Sunn O))) will be bringing the album to UK shores for a brief run of shows in October. Their show at The Crossing on October 26th comes courtesy of Supersonic Festival, and promises to offer an unforgettable evening of sensory overload and transcendent black metal, if that happens to be your thing. 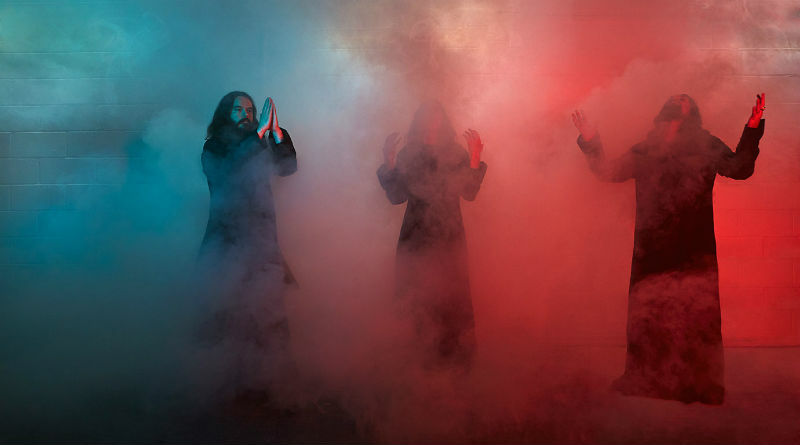 In an early review of the new album (their first since 2015’s tectonic Kannon), The Quietus describe the sound of Sunn O))) as ‘simultaneously deadly serious and utterly ridiculous‘. Since forming as Earth proteges in the late 90’s, the band have received consistent acclaim for their live act; the sort of thing that needs to be seen (and certainly heard) to be believed.